1. Cough loud, hard and/or often. This is one of the best ways to cause laryngitis that I know. 2. Scream forwards. For any reason. Even metal screamers can do it safely ... if they learn to scream backwards! 3. Have someone elbow you in the larynx during a pick up game of basketball. Yep, created quite a fright for a major star I've worked with. 4. Rev your stress level up before a very important gig . Great way to tighten you up and weaken your immune system, making you vulnerable to those microscopic viral voice murderers! 5. Sing songs out of your range. Go ahead... shred your cords like Freddy Krueger! 6. Start your show with your highest, hardest, loudest song. To put the last nail in your voice's coffin, don't warm up before the show. 7. Push breath while talking in long phrases with no breath support. A cruel vocal cord punisher in it's own right, this is an especially effective sneak attack on your unsuspecting singing voice. 8. Sing or talk with breathy tone over an extended period. This should dehydrate and thicken the mucous covering your vocal cords; torturing them while insisting they create sound. 9. Speak on the phone hunched over. The double saboteurs of tight ribs and forward leaning head should create nightmare configurations for your breath and throat channel. 10. Eat or drink things that create phlegm in your throat and or exacerbates acid reflux. Then punish your heavy laden, acid washed vocal cords by forcing sounds when they're too gunked up to freely vibrate. 11. Do vocal exercises wrong. If you turn your vocal warmup into a tighten up enough times with bad form, you will see the results in reduced vocal range, control, tone and when you finally go to the doctor, you'll see evidence of vocal abuse on your laryngoscopy photo. 12. Have a fight or take a stressful phone call right before you sing. You'll be sure to tighten up for performance and power your voice from too high in your body. 13. Give a pre-show interview with a ton of vocal fry. Think of it as committing vocal murder by friction. 14. Talk and laugh loudly with friends between multiple sets you're performing. Silence is something to avoid if you want to trash your voice. 15. Cry. When you start singing soon after, you'll want to cry more. 16. Smoke. Vocal murder can be accomplished by desiccation of tissue from toxins and acid reflux. Not to mention the lung damage. 17. Sing like a zombie. A lack of facial and body language will kill your efficient use of breath and make your voice feel and sound, well, dead. 18. Catch a bug! To make sure you do, never wash your hands, and frequently wipe your hand across your nose or mouth when in the presence of someone with a cold, especially after shaking their hand. Don't support your immune system, either, with food or supplements that work for you. 19. Get drunk. The dehydration plus the ability to injure your cords without feeling it should do the trick. 20. Sleep with your window open to the cool, damp night air. When you awake, the evidence of your sore throat will let you know you've murdered your voice for at least the day. 21. Stay up really late the night before you sing. The lack of sleep should swell your vocal cords, which you'll then torture with an important performance. 22. Don't cancel .. go ahead and sing with laryngitis. Your voice should be trashed for at least 2 weeks afterwards and possibly much longer. 23. Roll in the hay (or anything else) you're allergic to. Allergies are great voice killers! 24. Have nothing to drink on stage. In fact, make it a habit not to drink enough water chronically. 25. Blow your voice out at rehearsal. Kiss it goodbye for the actual show. 26. Hurt your neck or shoulders incorrectly doing physical exercise. The pain will cause those muscles to spasm and guard which interferes with the free movement of your vocal apparatus. Then you'll really get scared and experience a vicious cycle of vocal issues/ bad technique reinforcment unless you get to a coach that can set you right. Free weight neck strain had severely sabotaged the career momentum of another big star who finally came in for vocal lessons with me. 27. Sing while believing you can't. 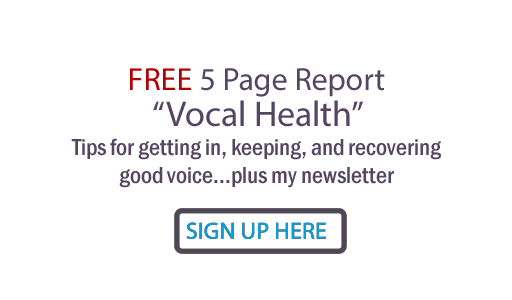 You'll undoubtedly be in guarded stance, tightening and sabotaging your voice's operation and health, and ensuring the demise of a good performance. Are you scared now? Good! 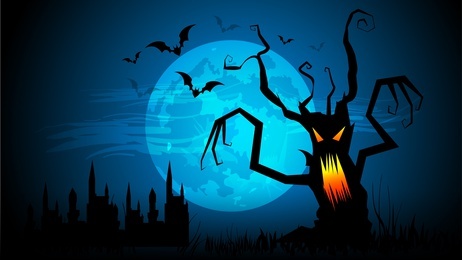 a healthy fear and recognition of them, because they are quite real, and they really do cause fatigue, irritation, strain and damage to your voice. If you've done any of these things, or found any another ways to kill your voice, please add it in the comments! Also, if you listened to the podcast please review it at your favorite listening site. That helps me keep this going for you. Great Tips! Would it be good to add that when sleeping in a dry climate. Maybe some places in the southwest, it might be good to have a humidifier in their bedrooms. Around 50 percent humidity seems to work best for me. "Sleep in dry, water-sucking vampire environments with no humidifier" This murder can be especially sneaky if you're traveling to perform in areas which are much dryer than your voice is accustomed to. Perfect gremlin to add, Mike, thank you! Hi Judy. My wife of 50 years likes to sleep with the window partially open during the Chicago winter. I have actually seen my breath during sub freezing nights! Of course, if I have to sing the next day, the window is closed. For singers who tend to be mouth breathers, I strongly recommend using a nasal saline spray called AYR. This spray opens the nasal passages even when the air is cold and dry. I've experienced many of the vocal issues in your article and can attest to them. At 73 years old, I'm still singing operatically, so vocalizing every day and avoiding the pot holes on your list definitely works! And if you want to be married for 50 years, compromise, love, love, compromise, LOVE! Love your advice, Ron... I think I'll get some of that AYR for a plane trip I have coming up... thanks so much!